Amy is a Senior Research Fellow in Cancer Epidemiology at the University of Leeds. She has interests in the linkage and analysis of large and complex routinely collected datasets to study outcomes in patients with cancer. Amy is the Chair of the MCR subcommittee for 2017. Sheena is a Senior Lecturer in Public Health at Newcastle University. Her research interests are in health inequalities, ageing and oral health. She is the Past Chair of the MCR Sub-committee and has been fortunate to be part of setting up this new and much-needed initiative to support the mid-career researchers’ community. to be involved with the SSM MCR Subcommittee to advocate for MCR needs and, in particular, looks forward to contributing to the development of the SSM Mentoring Scheme. 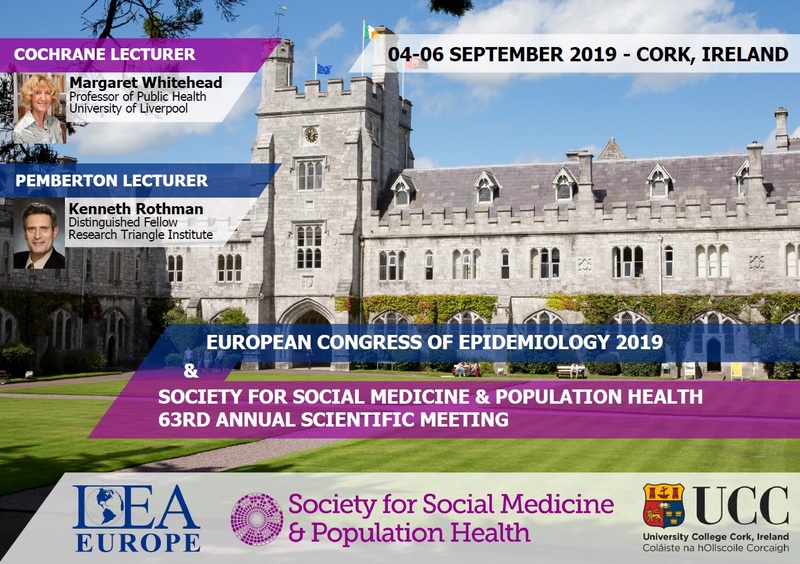 social epidemiology, developmental origins of health and disease, use of routine health data and linked data for research, research methodology and will serve on the MCR committee as a general committee member. Dr Murray is Senior Research Associate at University College London Department of Epidemiology and Public Health; as a part of the Research on Extending Working Lives (RENEWL) consortium (www.ucl.ac.uk/renewl). She considers herself a social epidemiologist, with a focus of examining effects of where people reside on their health and well-being. As a founding member of the MCR sub-committee, she is particularly interested in creating a community where not-so-senior scientists can merge their successes and travails to help their fellow ‘forgotten majority’ members. Jo is an Associate Professor at the University of Exeter where she leads the PenCLAHRC Evidence Synthesis Team and is involved in producing systematic reviews and evidence syntheses to inform locally relevant evidence based practice. She is the newsletter officer for the MCR SubCommittee. Shelina is a Senior Lecturer in Public Policy and Health at Durham University. Her research interests include health inequalities, community engagement, asset-based approaches, evidence-informed policy-making and qualitative methods. Shelina is the Chair Elect of the MCR subcommittee for 2018. Noriko is based at Department of Epidemiology and Public Health, University College London, where she is a Senior Research Fellow. Her areas of research interest are: Mental health, alcohol misuse, social networks, and ageing. She is the MCR mentoring officer. Frank is a Senior Lecturer in Epidemiology and Public Health Research at the University of Bristol. He is interested in alcohol-related harms, epidemiological methodology, and radiation epidemiology. Mark is a Senior Lecturer at University of Exeter. He works in data science with a particular focus on physical activity, mental health, clinical trials and statistical methodology. He is on the MCR committee to help with publicity.